Will Trump really be able to keep to his word that a North Korean ICBM launch "won't happen"? The Assad regime responded almost exactly one year later by striking the opposition-controlled area of Ghouta with rockets containing the chemical agent sarin killing hundreds of people, mainly civilians. Obama apparently came belatedly to learn the value of ambiguity, as opposed to drawing a line in the sand, in speaking of an ongoing security crisis. A NORTH KOREAN RED LINE? The 1998 nuclear tests by the two South Asian nuclear powers, India and Pakistan, were the last such tests conducted outside the Korean peninsula. Pyongyang, therefore, carries the dubious distinction of being the only state to conduct nuclear testing during the new century. So what is the new President to do if, as Assad did with Obama, Kim Jong Un decides to call his bluff? Beginning in 2006, Pyongyang carried out a series of five tests of increasing intensity, the last being conducted in September 2016. 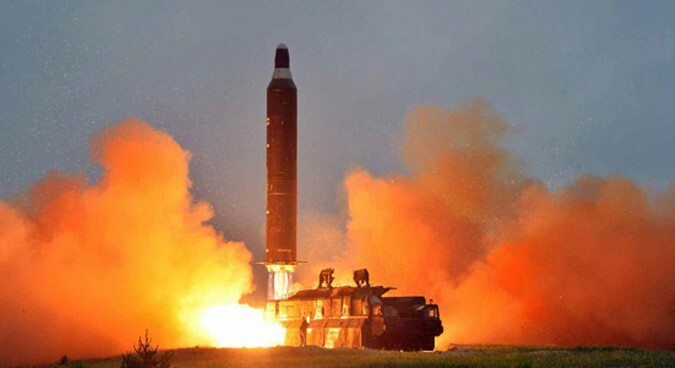 In close parallel with this nuclear program, Pyongyang has sought to develop a credible delivery capability through miniaturization of weapons for mounting on a missile warhead and through a vigorous program of missile testing. Kim Jong Un has proven to be a man of his word when speaking of the scheduling of tests related to the development of North Korea’s weapons of mass destruction. 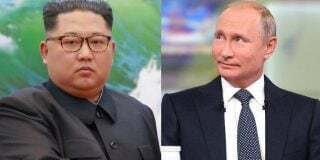 Further, as Kim has not been restrained in the least by the repeated admonitions of Seoul, Tokyo, Washington, Beijing and the UN Security Council, one can expect the launch of a long-range ballistic missile in the not-too-distant future. That sounds just as definitive a red line as former President Obama’s on Syrian chemical weapons. So what is the new President to do if, as Assad did with Obama, Kim Jong Un decides to call his bluff? The North Koreans often favor commemorative dates for major undertakings. 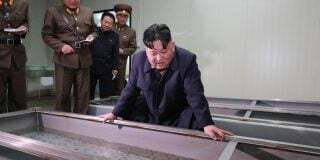 The then-new leader Kim Jong Un, for example, chose a date near the April 15th birthday of his grandfather, North Korea’s founding father Kim Il Sung, to conduct a missile test which brought the nascent “Leap Day” deal with the Obama Administration to a screeching halt in 2012. Obama had hoped to turn over a new leaf with the then-largely-unknown new leader in Pyongyang by brokering a deal on both a nuclear and missile test moratorium. The Americans even sweetened the deal with an offer of 240,000 metric tons of food aid. Kim, however, clearly signaled that commemorating the 100th anniversary of Grandpa’s birth and continuing his program of missile development took precedence over any diplomatic overtures from Washington. With no postponement or cancellation of the Foal Eagle 2017 military exercise, what happens if Kim Jong Un launches despite Trump’s warning, presenting the first major security challenge to the new American President? In December 2012 North Korea successfully launched a three-stage rocket with a southward trajectory. 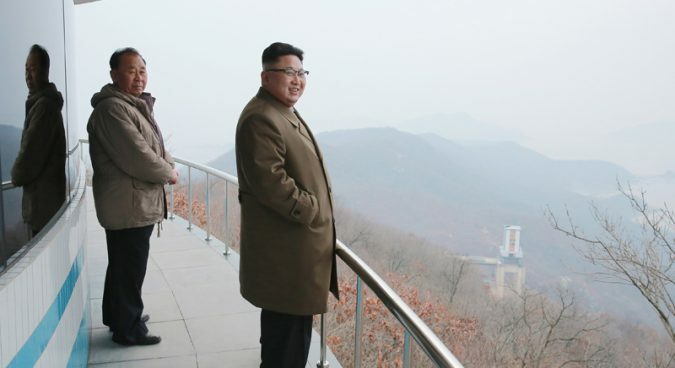 Pyongyang claimed the purpose was to put a weather forecast satellite in orbit but “the U.S., Japan and South Korea have called the launch a disguised attempt to test the country’s long-range missile technology,” according to a report in the Telegraph. Some of the rocket debris was found off the northern coast of the Philippines’ Luzon Island. If Kim Jong Un decides to send his missile again southward, the Trump Administration could simply choose to ignore it. A long-range missile heading eastward over the Pacific, passing over or near U.S. military bases in South Korea, Japan or Guam and splashing down in waters near Hawaii or Alaska however, would be a decidedly different matter. In that case, does the President decide to give orders to attempt to shoot it down? And what if the attempt fails and America’s widely hailed missile defense system is exposed to Pacific allies as seriously flawed? If you are sitting in Los Angeles in a few short years and a long-range ballistic missile with a miniaturized nuclear warhead is heading your way from North Korea, would you find a fifty percent success rate for America’s missile defense shield to be reassuring? 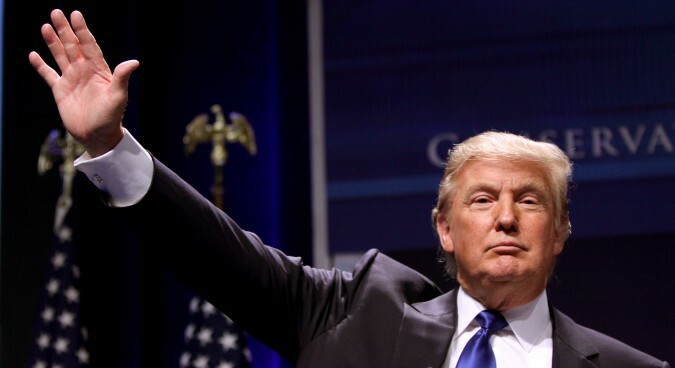 Then there is the alternate question of what happens if President Trump’s pledge of “it won’t happen” succeeds, and the North Korean long-range ballistic missile is indeed shot down? 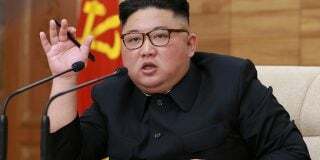 Kim Jong Un is known for having quite a temper: he recently had five senior security officials executed with anti-aircraft guns for “enraging” him by presenting false reports, according to Yonhap. So what if Kim responds with a major provocation on the DMZ or along the maritime Northern Limit Line (NLL) which, with the current military exercise going on, could involve U.S. casualties? What if he decided to lob a few mortar shells into Seoul, a major urban center a mere 35 miles from the DMZ? And what about a potential future attack on the United States? North Korea’s most recent high-profile defector, former DPRK Deputy Ambassador to London, Thae Yong-ho, said that “Kim Jong Un would fire a suicidal nuclear weapon at Los Angeles if he felt his power was being threatened,” adding that “the dictator would be prepared to ‘press the button’ despite the inevitable consequences.” Mr. Thae has previously said that North Korea is aiming to complete its development of nuclear weapons by the end of this year. Even though President Trump is known for his tenacity and for not backing down in the face of even the most daunting challenges, the question arises: is drawing a red line for North Korea worth risking U.S. military casualties and South Korean civilian lives? Is the satisfaction of shooting down a North Korean test missile worth putting Seoul or – even Los Angeles – at risk? Subscribe to read the remaining 1440 words of this article.